It’s time to set off some celebratory explosions, gang! According to The Hollywood Reporter, there’s a Rambo TV series in the works and it just might feature Sylvester Stallone. Everything’s in the very early stages right now, but Entertainment One and Nu Image made a deal to create and develop a show based on one of Stallone’s most iconic roles. Speaking of Sly, he’s apparently in talks to participate on some kind of creative level and possibly appear in the series. This actually sounds pretty similar to the deal Eddie Murphy made for the Beverly Hills Cop show that didn’t go to series. 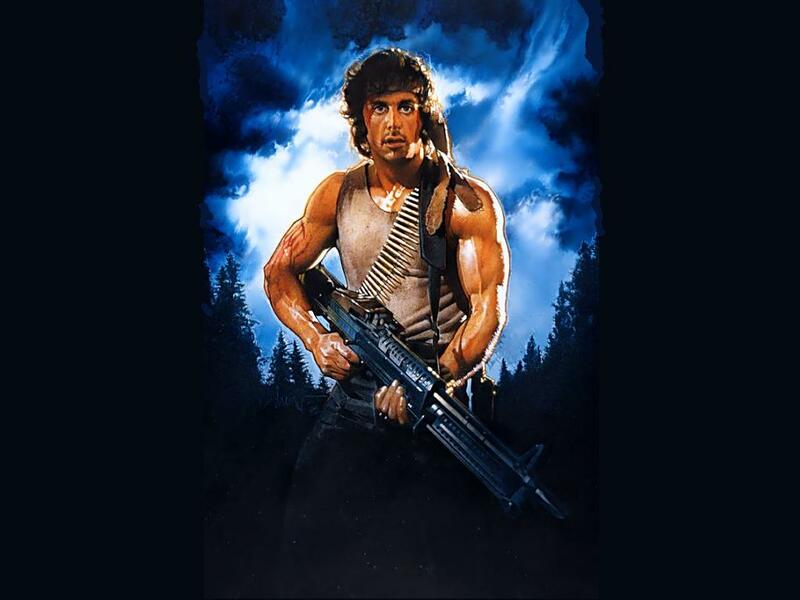 John Rambo first appeared in David Morrell’s 1972 novel First Blood which was translated to the big screen in 1981 by director Ted Kotcheff and co-screenwriter Stallone. The actor returned for three more sequels including 2008’s Rambo which, along with Rocky Balboa, helped Sly get out of the slump he’d been in, cinematically speaking. The character is a Vietnam veteran who never seems to be able to win the war he’s still fighting to this day. This entry was posted in Movies, TV and tagged Entertainment One, Nu Image, Rambo, Rambo TV, Sylvester Stallone. Bookmark the permalink. If they could get someone younger to do it then it may be a better idea. But you can’t just through out stallone maybe have him in there for like thirty seconds or more. Stallone’s so busy with films, he probably wouldn’t be able to do more than a cameo here or there if it’s a traditional series. Then again, if it’s got a more limited run, there’s a possibility he could star. Possibly but it may get better ratings if they were to just have him as a supporting role.